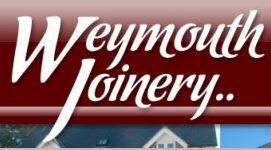 Weymouth Joinery - Carpenter based in Upwey, Dorset. We have been trading since 1976 and have carried out many Carpentry and Joinery projects along the Jurassic coast, Devon, Wiltshire, Hampshire and also as far away as Stone Haven in Scotland. We are a small Joinery business, which is dedicated to providing a professional service to our customers and we are proud our customers invite us back to carry out further projects. Weymouth Joinery produces the finest Handcrafted Joinery and has earned a well-deserved reputation for the high Quality Joinery products, using modern and traditional Skills. All aspects of our Joinery are created from quality materials and our attention to detail, we have been entrusted to carry out works for Weldmar Hospice CareTrust in Dorchester Dorset for the last 11 years Refurbing many new and existing shops and outlets and works to their Hospital units. Also we have carried out the new wine cellar doors at Bovey Castle Hotel on Dartmoor Devon, and have carried out carpentry works to several Tesco Super Stores across the country, also carried out the carpentry works to Trowbridge Nursing Home in Wiltshire and supplied the joinery at the Weymouth Harbour Masters offices for one local building contractor. We recognise and totally respect the values of using Sustainable materials from renewable resources, producers and customers alike have become more aware of their responsibility to ensure all products used are sourced legally and produced Sustainability.